Proven Winners is a small group of family-owned businesses run by plant loving, nature minded people. Our plants start out as young plants grown by six Proven Winners propagators (greenhouse growers) in the U.S. and Canada. Our job is to produce and sell these young plants to the thousands of independent growers in the U.S. and Canada who in turn grow our plants into the finished product that you see in garden centers. We love gardening and helping our customers to create their own beautiful gardens and outdoor living spaces. We understand and share your concern about the health of the bees which pollinate our crops and support our environment. The health of bees is critical to us all, and Proven Winners needs pollinators as much as anyone. With the help of our industry leaders, we are actively working to support, report, and react to the science-based information about bees and possible declines in bee populations. Based on credible reports, we understand that bee colonies are suffering from a number of issues including decimating Varroa mites, the stress of being trucked across long distances to pollinate crops, pathogens, poor beekeeping practices, nutritional issues, habitat loss and climate change. Another possible cause that has been identified is the use of neonicotinoid insecticides. All young plants produced by the Proven Winners propagator companies are grown without the use of neonicotinoids. More information about neonicotinoids, as well as information on how Proven Winners produces our bee-friendly young plants, can be found below. Does Proven Winners or its independent growers use neonicotinoids? The Proven Winners propagator companies no longer use neonicotinoid products in our young plant production. By eliminating this class of pesticides, we can allow the thousands of independent growers who produce Proven Winners finished plants (as well as finished plants for many other plant companies) to decide whether the plants they sell are grown without the use of neonicotinoids. If you are concerned about the plants you are buying from your local retailer, ask them about it. You’ll find that people who enjoy flowers and gardening are usually pretty down to earth and love to talk “shop”. 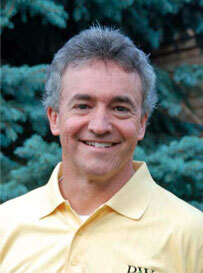 What is Proven Winners’ philosophy about growing plants? At Proven Winners, we do our very best to grow, maintain, and ship the healthiest young plants possible to our retail and wholesale grower customers. Proven Winners and our finished plant growers only use plant protection products that are approved by the U.S. Environmental Protection Agency and by Environment Canada, and these products are only applied by licensed applicators. Proven Winners propagator companies do not use neonicotinoids in our young plant production. We feel strongly that our plants are bee-friendly, safe for the environment and for the people who enjoy them. We use them with confidence in our own gardens, plant them with our children and grandchildren, and proudly recommend them to our friends and neighbors. Are Proven Winners plants grown organically (i.e. without any pesticides)? While Proven Winners has eliminated the use of neonicotinoids in our young plant production, we make no claims of organic labeling for our plants, and we do not regulate the growing practices of the thousands of growers that produce our products for retail. What is causing the bee colonies to collapse? No single factor can explain Colony Collapse Disorder (CCD) in its entirety. Several problems are affecting our bee populations, with a key focus on the Varroa mite. Since the 1980s, Varroa mites (Varroa destructor) from Asia have been invading and decimating bee hives in the U.S., and they are having the same effect nearly worldwide. Those countries not yet hosting Varroa mites maintain strict quarantine procedures to lessen the chance of an accidental importation of the mite. Places such as Australia that use neonicotinoids but do not have the Varroa mite are suffering no colony collapse. These mites are considered to be the world’s most devastating pest of honeybees and a solution is not yet in sight. Bees are also suffering from a great deal of stress from being trucked across long distances to pollinate 3-4 crops per season with no rest in between. As we need to produce more food to feed more people, more bees and bee keepers are needed. Just this year, there have been several reports of semi trucks crashing en route and losing their loads of bees--an enormous loss. Nutritional stress, loss of diverse food sources, pathogens, poor beekeeping practices and climatic changes are also known to be killing bees. Pesticides, including neonicotinoids, are being studied but have not yet been scientifically proven to be a cause of CCD. Yet with all of the concern over bees, the number of beehives today is actually higher than in 1995 when neonicotinoids were first used and are now at 20 year highs in North America and Europe. Why are neonicotinoids used by some plant producers? The class of insecticides called neonicotinoids, which have a chemical structure similar to nicotine, are an improved and safer class of plant protection products. They include the active ingredients imidacloprid, thiamethoxam, dinotefuran, clothianidin or acetamiprid and can be found in insecticides available to both professional growers and home gardeners. Neonicotinoids are a safer alternative for professional applicators, gardeners and the environment than older products that are no longer used. They require fewer applications and have very low toxicity. Among many important uses, neonicotinoids are the primary insecticides being used to fight the emerald ash borer and the Asian citrus psyllid which spreads a disease that wipes out orange groves. They are also being used to contain Asian longhorned beetles and to protect trees from hemlock wooly adelgid, which have the potential to damage or kill most of the maple and hemlock trees in North America. Pesticides are only one part of integrated pest management systems (IPM) which focus first on preventing pest and disease issues. Increasingly, beneficial insects and organisms like ladybugs and beneficial nematodes are used to combat pests naturally. Growers also inspect their crops regularly to catch problems in their infancy and only treat affected areas. When preventative and natural measures fail, judicious use of pesticides are implemented to save crops from devastation. What do I do if I am still concerned about how my Proven Winners plants are grown? If you are concerned about how a plant you are purchasing was grown, we encourage you to ask the local retailer where you purchased your plants. Ask them to help you find the most bee-friendly Proven Winners plants that will thrive in your garden to provide bees with the nutritious pollen they need to survive. By providing a flower-filled ecosystem for pollinators and sharing accurate information about bees with your family and friends, you can contribute to continued bee population growth. How do I know if any of the plants I purchase at a garden center are safe for bees and other pollinators? By planting bee-friendly flowers in your garden, you are helping to feed the bees and other pollinators that live in your ecosystem. There is no reason to think you are harming bees by planting flowers. Read more about this issue in this report from Michigan State University. What can I do to protect bees and other pollinators in my own yard and garden? People who want to help protect pollinators in their gardens should avoid spraying open flowers with any insecticide with the exception of B.t. (Bacillus thuringiensis) which is a naturally occurring soil bacteria. Horticultural oil and insecticidal soap can also be used on cool mornings (< 50° F), after sunset, or at any time that bees are not present because the spray residue is not toxic to bees. Soap and oil can cause some plant injury, especially to open flowers. Plants that need to be protected against damaging insects by using a conventional insecticide should be sprayed after the plant is done blooming or after removing the flowers. The number of beehives today is higher than in 1995 when neonicotinoids first came onto the market and are now at 20 year highs in North America and Europe. Honey production in the United States was up by 14% in 2014 and the number of bee colonies producing honey also increased by 4%. Places such as Australia that use neonicotinoids but do not have the Varroa mite are suffering zero colony collapse. The President’s budget for 2016 includes more than $82 million in funding that will be specifically targeted to address pollinator health through various agencies. (Compare that to $34 million in 2014.) That includes additional research funding for the Environmental Protection Agency (EPA) and the USDA. Honeybees can travel four miles from their hives, gathering nectar and pollen from a wide range of flowers. Clover and alfalfa are their primary food source. Avoid applying any pesticides to plants in flower and during the day when bees, and other pollinators are active. Calling a local beekeeper to move a large beehive if it is built in a troublesome place on your property rather than using chemicals to kill the bees. 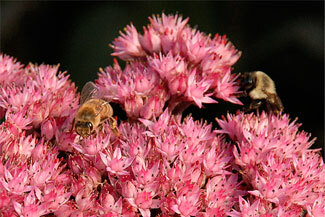 USDA releases results of new survey on honey bee colony health. The survey is part of a national pollinator action research plan to give new insight into colony losses. National Strategy to Promote the Health of Honeybees and Other Pollinators from the Pollinator Health Task Force. Developed by the U.S. Federal government and released in May 2015, this report outlines the current and planned Federal actions of the newly formed Pollinator Health Task Force. Pollinator Research Action Plan. Developed by the U.S. Federal Government and released in May 2015, this report presents the research behind Colony Collapse Disorder and the role of the Pollinator Health Task Force in addressing the issue. Bee Experts Dismantle Touted 'Harvard' Neonics-Colony Collapse Disorder Study As 'Activist Science' as published in Huff Post Science. The interesting story behind the original flawed study which created the false narrative of neonicotinoids killing bees. USDA Study on Neonicotinoids: A look at studies on neonicotinoids through the years and how they are supported, or not supported, by current bee statistics. Bee Deaths Reversal- As Evidence Points Away From Neonics As Driver, Pressure Builds To Rethink Ban as published in Forbes Magazine. This article talks about initial theories that have since been proven inaccurate—the new numbers simply don’t support the “beepocalypse” narrative or identify neonics as the driver of die-offs. Bee Population Rising Around the World as published in AG Professional. A review of data collected by the crop protection industry from the USDA, FAO and StatisticsCanada showing that bee populations even in intensely farmed areas of the world are increasing rather than rapidly decreasing. Key to Honeybee Loss? Mites stink, a report of a Michigan State University study. Interesting new finding on how the Varroa mite is infiltrating bee colonies by masquerading as bees. Protecting Pollinators from Michigan State University. Tips for homeowners on how to protect pollinators in their gardens and Q&A about neonicotinoids. 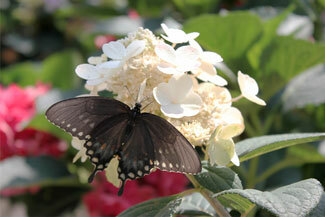 Planting garden center flowers is good for bees and other beneficial insects, a Michigan State University Paper. A more extensive look at the science behind the use of neonicotinoids written for the home gardener. Grow Wise. Bee Smart from GrowWise.org. A great resource to share with home gardeners who are concerned about bee health and want to be part of the solution. Promoting Healthy Habitats Q&A from GrowWise.org. Answers to the most commonly asked questions from gardeners about colony collapse disorder, bee health, and neonicotinoids. 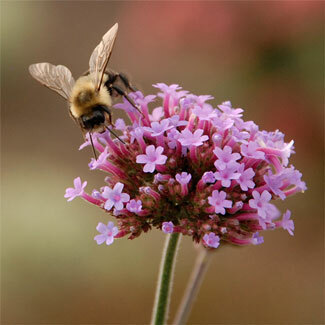 AmericanHort®: Protecting Bees and Pollinators-What Horticulture Needs to Know. Scientists discuss the possible causes of colony collapse disorder, including the impact of neonicotinoids. New York Times Report: The mystery of Colony Collapse Disorder has brought honeybees into the public eye. But the story of their plight and its impact is more complicated. A consolidation of news reports and journalistic style reporting on the issue. A Thrilling Look at the First 21 Days of a Bee’s Life - TED Talk by Anand Varma. An incredible photographic journey of how bees are born and the challenges they face in the first three weeks of their lives as told by a backyard beekeeper. We understand and share your concerns about the health of our environment and the critically important pollinators that produce so much of the food we eat and the flowers that enhance our surroundings. Like you, we want to be part of the solution, not the problem. That motivation has influenced our growing practices as we work to safely produce the plants you grow and love in your gardens. We look forward to seeing more results from the positive research being conducted by credible scientific organizations and the newly formed Pollinator Health Task Force. As you do your research on this topic, we encourage you to do due diligence in vetting your sources before making decisions. Most of all, we encourage you to grow more bee-friendly plants and flowers to enhance the ecosystem around you which supports all of our vital pollinator populations. By working together, we can accomplish great things.